In May of 2012 Google enabled Google+ Hangout On Air for all users. This allows anyone to host a hangout, stream it live on YouTube, have it posted on their YouTube channel, and (if they like) save the video recording as an .mp4 (in case you'd like to edit the recording). To take advantage of this feature, you'll need to have a Google+ profile and a YouTube channel. Click that and a 'Start a Hangout' window should pop up. Choose people to invite to the Hangout (you can invite more later). You must give the Hangout a name. 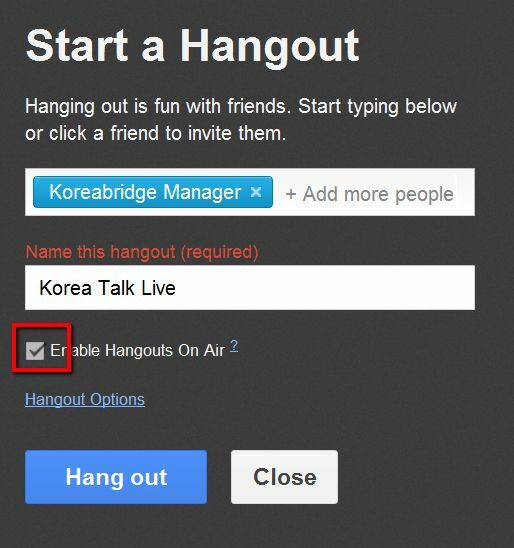 If you want to stream this on YouTube, make sure to check the box next to 'Enable Hangout on Air'. You Hangout window will then open. Whenever you're ready to start streaming, you can click 'Start broadcast' in the top right part of the Hangout window. 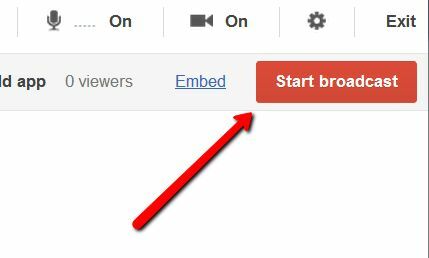 If you'd like to post the video stream on an external website, you can click 'embed' and copy that code. You can also copy the URL of the stream on Youtube and viewers can watch there. If you'd like information about how to stream and record Google+ Hangout on your own (without the On Air feature), you can check out the Hangout Streaming Guide and more starter info about Hanging out is in A Basic Guide to Using Google+ Hangouts. Thank you for the information. I look forward to trying this out.